The Execution of Lady Jane Grey, an oil painting by Paul Delaroche completed in 1833, hangs in prominence in the National Gallery in London. Last April I visited the gallery after a significant absence from London, and without a wrong turn, found my way directly to this painting, in fact, I’m nearly confident I could have found it blindfolded. And as I sat facing Jane, the years melted away and I was 19 again, seeing her for the first time. In 1998 I was mildly obsessed with the story of Lady Jane, largely due to the film starring Helena Bonham Carter and Cary Elwes (in all their youthful glory). My older sister had introduced me to the movie after her return from the same study abroad program I was now attending. I visited the block at the Tower where she was beheaded and saw her name etched in a prison cell. The tragedy and passion of the story was perfect for a teenage student of the arts! However, my fondness for this painting now flows from another experience. Upon returning from London in ‘98, I had a letter waiting for me. A fellow student had stayed a few days longer in London and told me she was writing to me as she sat in the national gallery, in front of the Execution of Lady Jane Grey. Apparently I had told her where to find it and recommend that she spend some time there. She proceeded to recount how the past four months had been challenging and lonely for her and thanked me for being her friend. Now, I am not patting myself on the back at all—I couldn’t recall any great, heroic humanity on my part. The past four months had been incredible for me, but also challenging and sometimes lonely. Her gratitude reminded me the power of simply being kind and including others. The Execution of Lady Jane Grey lost favor with viewers in the 20th century and was boxed up. In 1975 it made its way back into the light and I’m thrilled that it did; this painting facilitated friendship and gratitude. It now hangs to remind me, with Jane’s resplendent dress amid a despondent scene, that art can connect us in a profound way to our fellow human beings. Two weeks ago I turned the last page of Tess of the D’Urbervilles on a flight home from England. It wasn’t my first reading of the novel, but it had been long enough that it felt new in so many aspects. Completing a good book is often followed by a brief mourning period, and the loss felt particularly poignant this time, nevertheless the time has come for closure with Tess and hopefully these thoughts will help me mend my figurative broken heart. This book became deep and real to me because I intentionally made it so. Each cow that grazed in the wold bore Tess’s shadow leaning against its side as she milked. Every footpath and lane whispered of her long walks to seek refuge. Steve and I spent a morning at Max’s gate, Hardy’s adult home, where we were greeted in nearly every room by Hardy enthusiasts. The only empty room, however, was the very room where he penned Tess, and it felt complete to sit where he created such beauty and made literary history. After that, we walked to Stinsford church, where his heart is buried, and from there to his birthplace (which we had toured years earlier). All of this we did while, “It was yet too early in the year for much colour to appear in the gardens and foliage; the so-called spring was but winter overlaid with a thin coat of greenness, and it was of a parcel with his expectations.” (372). Of course, such a dynamic experience cannot accompany every book and poem I read, but these few days further bound me to both a land I love with my whole heart and to the language that from there emerged. Tess is many different women throughout the story and I hope I can keep part of each with me. She is real in her hurt, sadness, and anger, but I love the sacrifice and selflessness she shows at the book’s close. Perhaps my favorite thing about her is the optimism that creeps back after hardship, like when she arrives at the dairy. “Her hopes mingled with the sunshine in an ideal photosphere which surrounded her as she bounded along against the soft south wind. She heard a pleasant voice in every breeze, and in every bird’s note seemed to lurk a joy.” (103). And so Tess of the D’Urbervilles returns to the shelf and I must return to my everyday life, taking Hardy’s advice with me that, “Every man must work as he could best work, and in the method towards which he felt impelled by the Spirit.” (312). Many good books still deserve my attention and England will always be there waiting. Here I pass on the recommendation that was years ago given to me by my mystery friend or acquaintance; whoever you are, thank you. A few months ago, while driving south on the 101 to visit my sister, I witnessed a scene that still haunts me. In the distance I saw in the middle of the highway what looked to be a rabbit running, except the rabbit wasn’t getting anywhere. As our car approached, the reason for the rabbit’s static situation became clear–the lower half of its body had been flattened by a passing vehicle while its upper half remained intact and struggling. My heart broke for this helpless creature; hope for survival was futile and I wished that its pain would be brief. 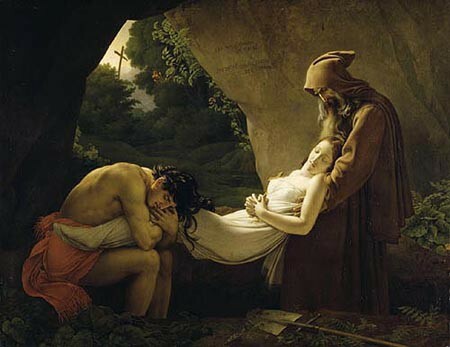 Nearly half my lifetime ago, I visited the Louvre in Paris and among many works there, “The Tomb of Atala” by Girodet touched me. In this captured moment of intense grief, there is beauty and hope. The artist balances emotions of pain and passion with all the skills of his trade: a classical composition, contrast of light and dark, employment of Christian symbols, soft brush strokes and more. Like this painting, many faith traditions, including my own of Christianity, offer meaning and hope amid death and suffering. Literature, performing and visual arts are laden with suffering and I submit that to some degree the theme is essential for a successful piece. A few years ago I read several novels in a row that ended with a tragic death and I questioned my choice of books. Then I reflected that many of the classics include death, at least at some point in the work; and if not death, some other tragedy. In fact, the very first grade level definition of plot teaches that a story must have a beginning, a middle (which is the “problem”) and an end (the “solution”). Thankfully, fine works of art become increasingly more nuanced and layered than this, but the basic definition usually stands. I recall concluding both “The Fault in Our Stars” and “The Kite Runner” through exhausted, cried-out eyes and those painful reads were cathartic. The challenges one faces through art, though not their own, have the power to deepen character and understanding. I am also an advocate for the arts that merely entertain and brighten, but art containing tragedy is healing through co-suffering. This idea of co-suffering has been on my mind lately, prompted by a two-part podcast: https://player.fm/series/mormon-matters-1169768/339-mercy-and-the-atonement-part-1. I was discussing the idea of “mourning with those that mourn” with my seven year old daughter. I explained that this means to feel sad with someone who is sad. She said, “That’s a dumb idea–it’s just spreading sadness.” My point to her was that it’s “sharing sadness” and paradoxically, the sadness is not just spread, but dissipated. Art has power, just like a dear friend, to diffuse pain by inviting us to share in the struggle. The arts invite us in, widen our scope and bind us to human experience. In a mindfulness practice, I recently learned about a concept known as “negativity bias.” The short of it is that negative thoughts and experiences stick to us like Velcro, while the positive ones slip off like Teflon. Here is an explanation as to why: https://www.rickhanson.net/how-your-brain-makes-you-easily-intimidated/. I have chronic pain that manifests itself in different ways and in varying degrees over time. The last few months have prompted some deep reflection and I’ve noticed that my attitude towards pain has matured over the last decade. Of course, my strongest human instinct is to just wish the pain away, but I can now more clearly see the good that laces hard times. I have learned a greater degree of patience, I treasure the gift of seeking help and answers (not just the help and answers themselves), and I have developed meaningful relationships through shared experience. One such relationship is with a physical therapist, with whom I was fortunate enough to work in two states. We recently shared a phone conversation that prompted much needed spiritual and physical healing (I nickname her the “metaphysical therapist). So what stays with us from a particular work of art or a life experience? Is it the pain, the grief, the suffering, or is it the light, joy and beauty woven throughout? My submission is that it has to be both; awareness and gratitude must exist for the entirety or meaning is lost. Categories: Literature, Visual Arts | Permalink. Reading a good classic work of fiction takes a significant amount of self investment, but like most worthy efforts in life, it yields equal (or greater) reward. Finishing one such novel demands a restorative period and after I completed Hardy’s Far from the Madding Crowd I turned to various literary genres. The last few months have constituted one of the most varied and enjoyable reading seasons of my life. My new situation in California–living in a smaller home and renting, as well as the other freedoms of time that often come with a move, have afforded me more reading time than I’ve had since moving to England in 2004. For two years I often had no car and a child that napped five hours a day. Many of the following books fell into my lap, especially the young adult novels–it’s an exciting stage when I can take recommendations from my 12 year old daughter. As this steady stream of companions comes to a close, I feel ready for one of my nineteenth century friends again, perhaps Dickens. It’s been over a decade since I read David Copperfield; long enough to make it interesting again and brief enough to recall my affection for it. This list is merely a record for myself, but I would enthusiastically endorse any book included to my family, friends, or to a perfect stranger! Tonight I heard my voice teacher and friend, Lindsey Partridge, sing this song as a gift to her students at their recital (at which I did not perform!). The words and music moved me. I could spend many hours trying to analyze this poem, but because there is no impending assignment to do so, I won’t disturb the wordless comprehension I felt. Beautiful! Categories: Performing Arts | Permalink. I sang a solo on Tuesday, May 24 2016. The last time I sang alone, besides to my children at bedtime, was 20 years ago when I tried out for a high school choir. Singing with a choir is comforting, but singing alone is one of my greatest fears! As I anticipated and dreaded these few minutes, I recalled how I came to be here in the first place. A few months ago, near a cozy living room fire and with the most delicious hot chocolate nestled between my hands, I agreed to private voice lessons. Some women from my church had gathered for “girl time” and I spent much of the evening getting to know Lindsey Partridge. I was fascinated to learn about her career teaching music and her eight years singing with the Mormon Tabernacle Choir. I shared with her my love for music and my feelings of inadequacy about my own voice. There was no alcohol involved, though it was after 10:00 pm (at which time my judgment is definitely clouded and my inhibitions down), and I committed to one private voice lesson. The day of the lesson arrived and she boosted my confidence enough for me to agree to another, and another and so on until it came time for the group lesson (the time and place afore mentioned for my solo). During the past two months of Lindsey’s instruction, I’ve gained surety of my ability and sang with a church choir that she directed. My former high range is slowly returning and I am developing an even greater admiration for the truly great and talented singers–I wrongly assumed that most of it was innate talent and never appreciated the incredible amount of work that also contributed to their voices! On Tuesday, before the group lesson, I was ready to tell her this was my last time. Challenging my voice during lessons is physically and emotionally exhausting. I always sound better practicing my piece at home than I do with Lindsey, so I was sure that in front of even more people it would be a disaster! But by some act of grace it didn’t go that badly! Sure, I’m not planning any public concerts, but I feel like I overcame a huge obstacle that day. The other students were kind and constructive in their review, which really helped. I have awesome opportunity to work with a fine musician, so I suppose I’ll carry on with the lessons. Though I was familiar with the Brandenburg concertos, several months ago while listening to the radio, I was surprised to learn that they had been lost to the world for over a century. The music was sold upon the Margrave’s death in 1734 for the equivalent today of $24 and then left in the archives of the Brandenburg library until it was rediscovered by Siegfried Wilhelm Dehn in 1849. Now I realize I take generous liberties in comparing the untapped abilities of my voice to Bach’s buried masterpieces but both lead me to the biblical parable of the talents. The parable in its entirety is found in Matthew 25:14-30, but here is the gist: a certain man gave his servants talents. Five to one, two to another, and to the last he gave one. The first two doubled their talents; however the last, afraid to lose the one he had, buried it in the ground. The master took the one buried talent and gave it to the servant with ten. The powerful message in this parable is that God doesn’t compare our talents with others (and neither should we); he cares only that we use and multiply the talents he’s given us. In her book, The Gifts of Imperfection, Brené Brown offers powerful insight into our fears, feelings of inadequacies and the curse of comparing our gifts and talents to those of others. She says that “When we cultivate those gifts and share them with the world, we create a sense of meaning and purpose in our lives” (p. 112). 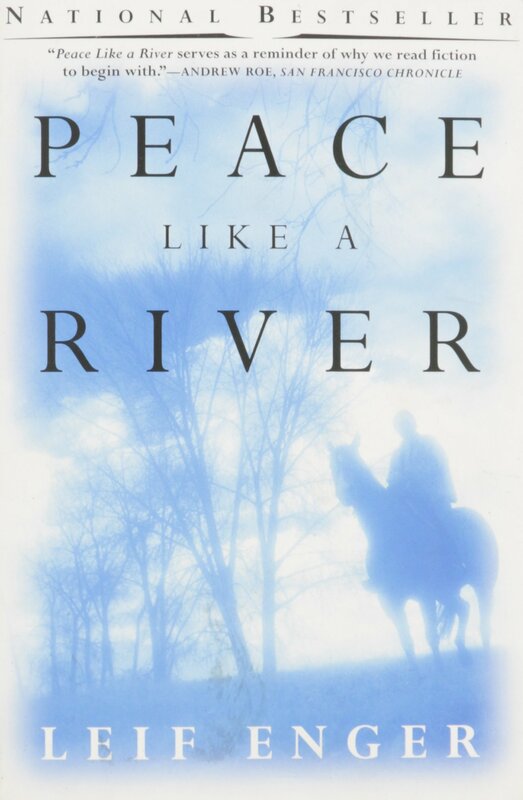 And when we choose not to develop our talents, “we pay for it with our emotional and physical well-being….We feel disconnected and weighed down by feelings of emptiness, frustration, resentment, shame, disappointment, fear, and even grief” (p.112). The former option has much greater appeal. A friend sent me Elizabeth Gilbert’s book Big Magic for my birthday and it wonderfully explores the need every person has to live creatively and develop the gifts we divinely carry. It is a great motivator for those, like me, who often have strokes of genius and great ideas, but let them disappear out of fear or laziness. Bach recognized that whatever talent he had came from God and he acknowledged his shortcomings, but presented his beautiful music regardless. Thankfully someone found the dusty scrolls of his concertos and presented them to the world. My own efforts at dusting off the gifts I possess will never be impactful like Bach’s, but they matter nevertheless. So last week as I presented my solo voice to small room of people, I made my own humble offering to the world of music, which deep down for me had just as much, if not more, to do with cultivating creativity and connecting with the divine. Here’s a little listening pleasure (also, I like the ad before it–close to my heart, and not far off my theme today! ).